Every teacher knows that as the end of the school year draws near, it’s harder to keep the focus on schoolwork. The same is true if you homeschool. 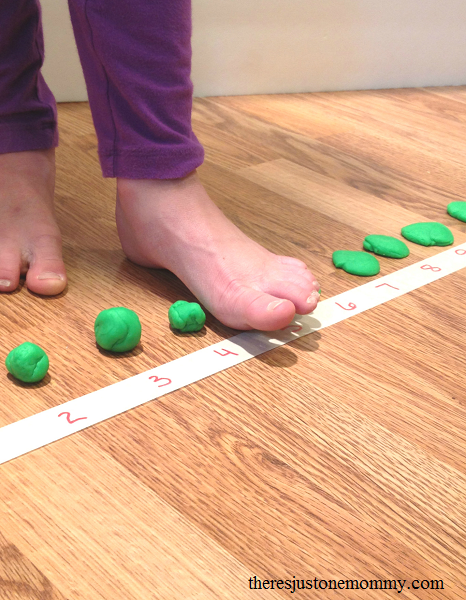 This week we’ve been having fun with this simple hands-on math activity, perfect for teaching subtraction facts. Affiliate links have been provided in the post below. 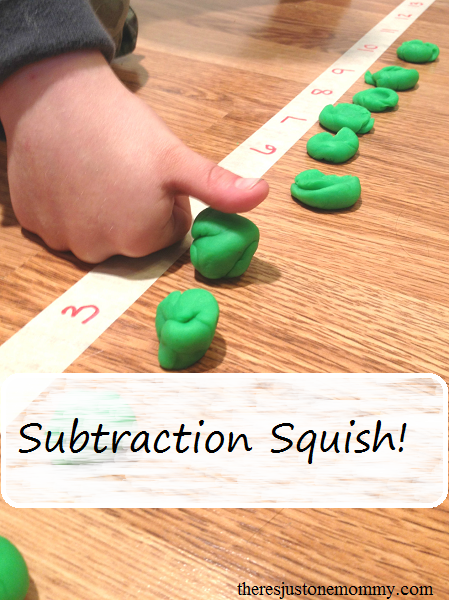 Setting up this subtraction activity is super simple. 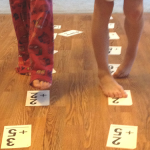 First use a piece of masking tape to create a number line on the kitchen floor. We are working on subtraction facts up to 20, so our number line went from 1-20. You can easily adjust this to fit your individual child’s needs. Then it’s time to play! You can ask a variety of subtraction problems aloud. 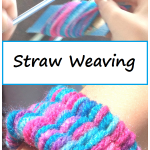 You could also use flashcards with this activity, allowing them to work independently. 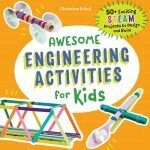 You’ll find more hands-on learning ideas in our book ABC’s & 123’s: 40 Hands-On Play Activities to Build Letter, Number and Shape Skills. 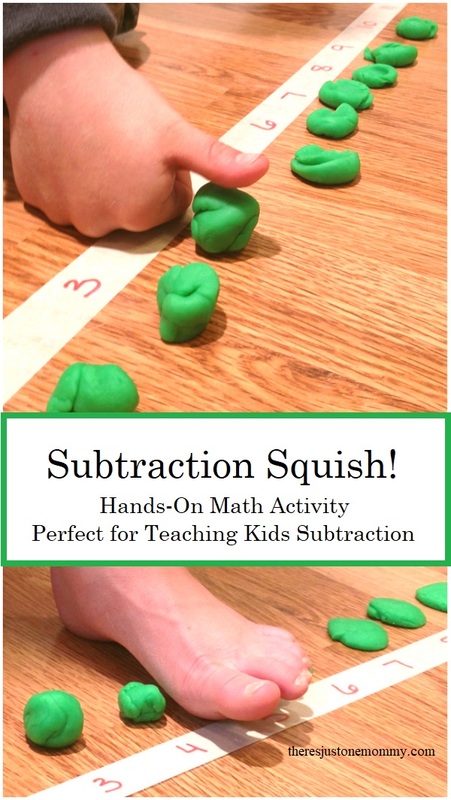 Not only is Subtraction Squish a fun way to practice math facts, it is also a great sensory activity, too! The kids had fun squishing the play dough in a variety of ways, including with their toes. 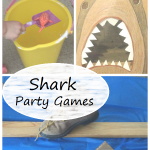 Looking to add another level to the sensory fun? Try using Tutti Frutti Scented Dough . Get more fun learning ideas like this delivered to your email by subscribing to our newsletter.